Born in Alexandria, Egypt, Hafez gained his veterinary qualification at Cairo University in 1971. 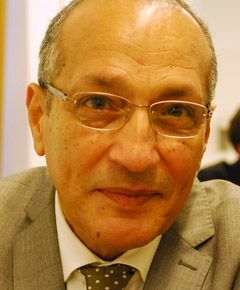 He completed a MVSc degree in 1975 at the Department of Poultry Diseases, Faculty of Veterinary Medicine, Cairo University and was a research fellow there from 1971-75. In 1981 he completed his Dr medicinae veterinariae at the Department of Poultry Diseases, Giessen University, Germany, and in 1994 he successfully submitted a Dr habilitatus thesis at the Department of Poultry Diseases, University of Munich. In 1981 he joined the staff of the Poultry Health Service and State Veterinary Laboratory Stuttgart, where he headed the poultry and virology department from 1985 to 1997. He then moved to the Faculty of Veterinary Medicine, Free University Berlin as head of the Institute of Poultry Diseases. He was appointed an honorary Professor at the University of Hohenheim in 1996, and at the University of Alexandria, Egypt in 2009. He served as President of the World Veterinary Poultry Association from 2005-2011, and since 2011 has been President of the European College of Poultry Veterinary Science. His contributions to veterinary science were recognized by awards from industry, academia and the state such as the Karl-Fritzsche-Research Prize for research on poultry diseases by the German Veterinary Medicine Society in 1993; Medal of Distinction in 1996 and Nieberle-Plakette in 2003 from the State Veterinary Medicine Chamber, Stuttgart, Medals of Distinction from the Faculty of Veterinary Medicine, Wroclaw University in 2000 and from the Academy of Agriculture Wroclaw, Poland in 2002.